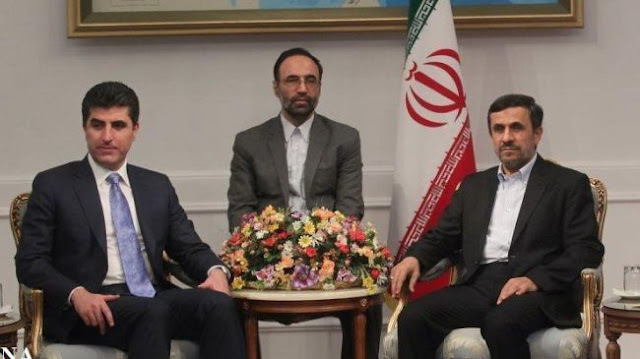 IRAQ: Iranian President Mahmoud Ahmadinejad has called for empathy and understanding among all Iraqi groups, saying that the people of Iraq should enjoy peace, welfare and progress. “All people of Iraq must enjoy peace, welfare and progress and this issue calls for empathy and cooperation among all Iraqi tribes and groups,” Ahmadinejad said in a meeting with visiting Prime Minister of Iraq’s Kurdistan Regional Government (KRG) Nechirvan Idris Barzani on Monday. The Iranian president emphasized that stability and security are prerequisites of progress, adding that the Islamic Republic fully supports the progress and stability of Iraq.